The theme for 2017 was "On The Go"! 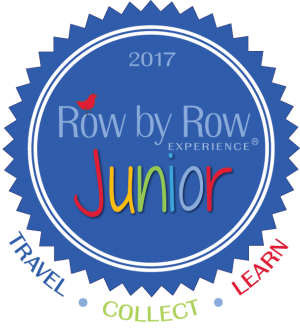 This year we participated in Row By Row Junior! We're also a participating shop for The Ninth Row! This year our donation will be going to Big Brothers/Big Sisters of Springfield. Our License plates are in! 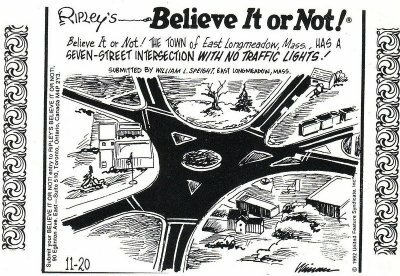 We are right off the East Longmeadow rotary (roundabout) which was featured in Ripley's Believe It Or Not for being the only intersection with seven roads entering it and no traffic lights! Here is our town postcard! Check out this video to see what it looks like! However, you may own a rotary, cutter that is, and want to make it feel important! 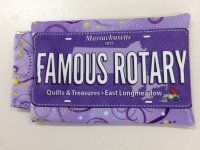 We found a pattern to make your rotary cutter its own case and let the world know it is famous! We have the kits available now! 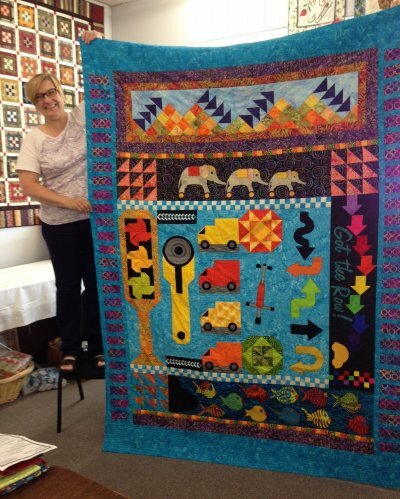 Includes the license plate, fabric, pattern, and hardware for snap top. 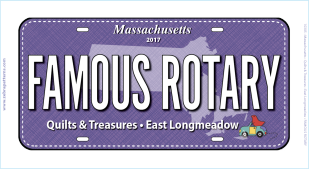 On the blade are the seven roads that meet in the East Longmeadow rotary! Kits will be on sale starting June 21, 2017, the day the Row By Row Shop Hop Experience begins for the summer. Print off your Shop Log Travel pages here. Print off a cover for your notebook of travel pages here. 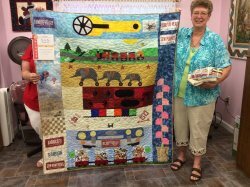 Here are some other winning quilts who used our row.